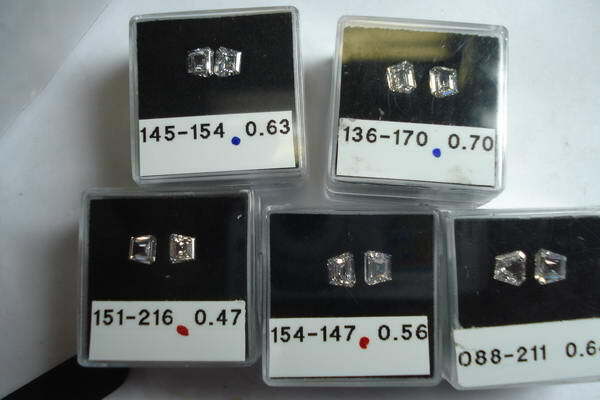 But this just might be the equivalent of the "Liger" of diamonds. 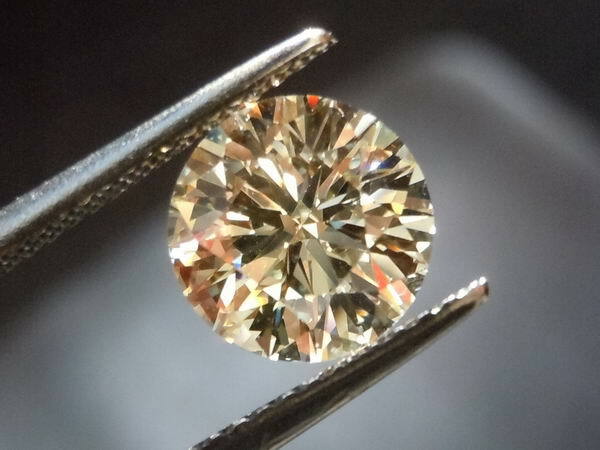 The basic goal of the round brilliant design is to hide body color- that is to say, make a stone look whiter. That makes this a kind of cool cross. 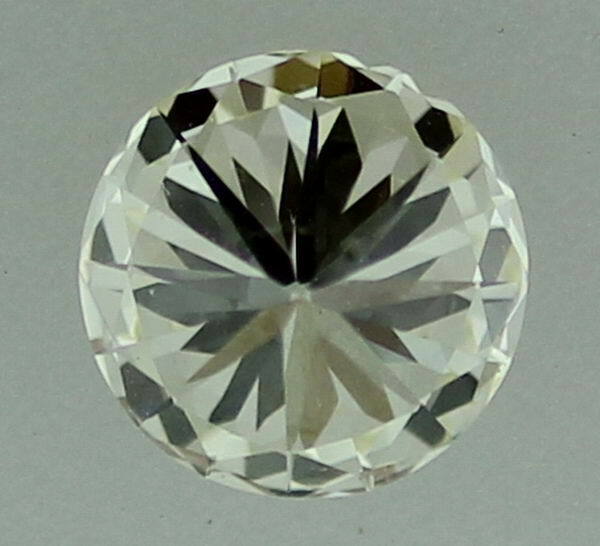 This is a faint yellow round brilliant diamond. So, sometimes it looks white, and sometimes the color shows. When you look from the side, as in the shot below, the color is easy to see. Below it looks a lot whiter. This has only to do with the difference in lighting. The cut is really nice, by the way. 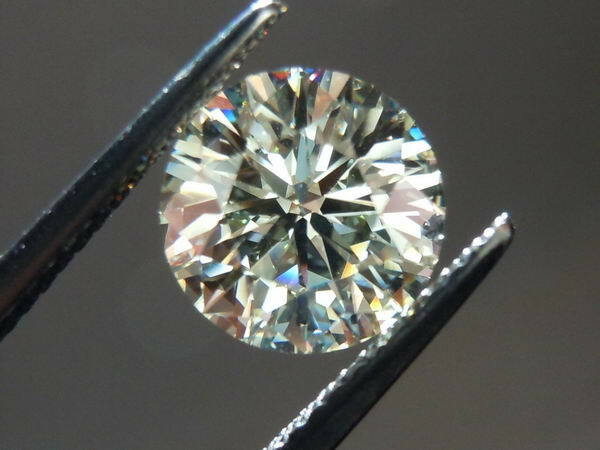 It looks like a 2.10, not a 1.98ct. Great brilliance. 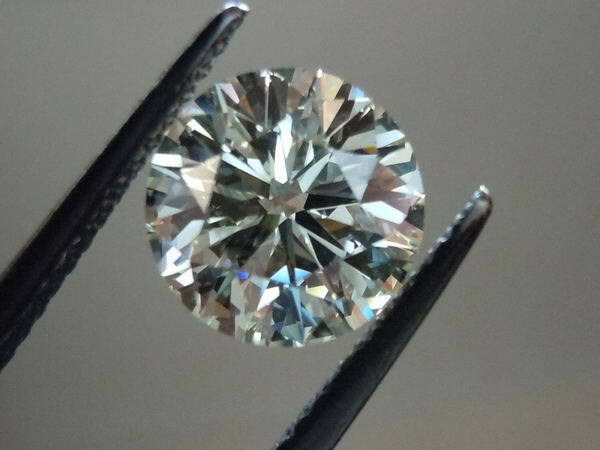 True story- as I was just examining the diamond it slipped out of the tweezers into a mass of computer wires, battery back ups, what have you- and it's night time, as I write this. 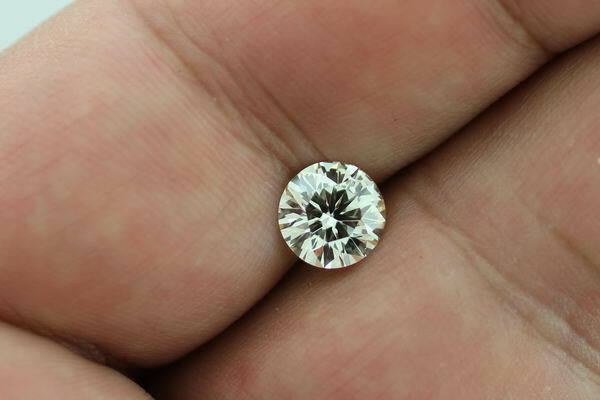 The stone just smiled right up at me, I did not have to look twice. It was in the dark, yet still found enough light to send a help signal. 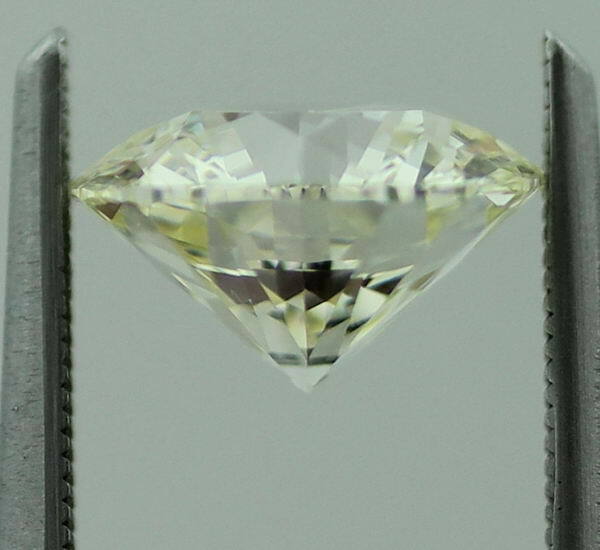 We graded the stone as an O-P faint yellow. 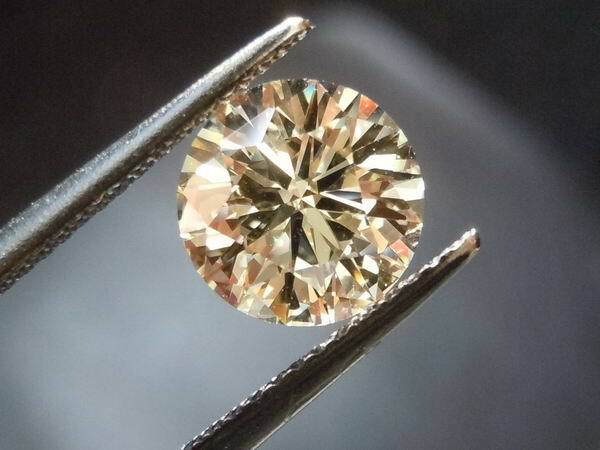 We got the stone from the cutter, who had not submitted it to GIA. 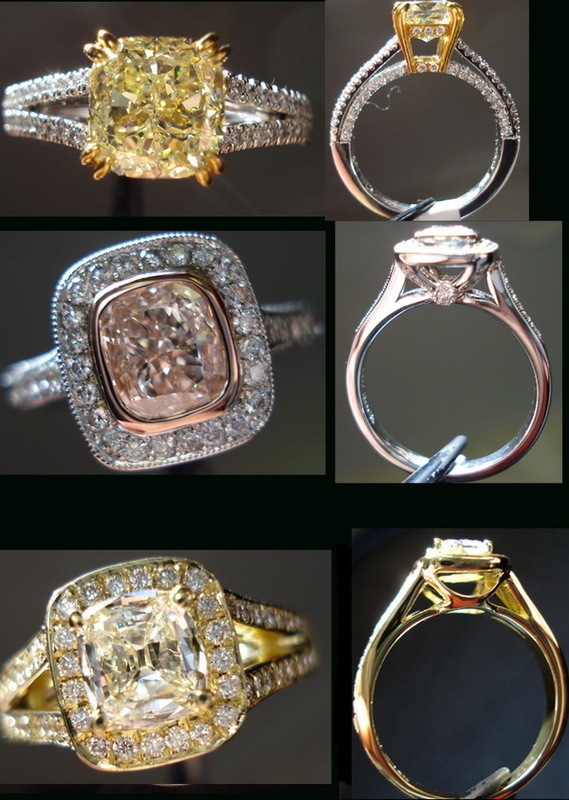 We can submit the stone by request.